What Are the Skills Students Need to Succeed in the Information Age? So much has changed from the days of a single textbook and a classroom teacher. Today’s modern student is simply not equipped with the necessary skills to organize, process, manage, prioritize and learn from the massive amounts of information they encounter. The Multi-Media Teacher’s Guide (MMTG) is a complete resource kit! 240+ done-for-you slides with interactive visuals for guiding instruction. Clean, bright, colorful presentation. Great for visual learners. A lot of support! Comprehensive instructor support is included. Our award-winning workbook guides students through the core strategies with practical application. Each section is written in a clear, succinct, and professional manner. The book includes many visuals and diagrams to provide support for struggling readers and enriched examples for more advanced students. 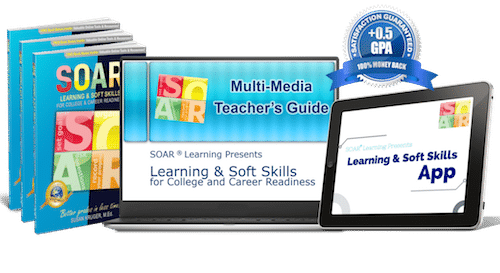 The app covers the entire SOAR® Learning & Soft Skills workbook, presented as a self-guided course. To explore the App further, click here. What Grades/Subjects Use This Curriculum? See our Grade-Level Continuum for a full outline of age-appropriate mastery levels. Furthermore, SOAR® prides itself on being student friendly and efficient. That’s specifically why we do NOT recommend burdening students with different study skills for different subjects. SOAR® has masterfully identified the essential, 80/20 skills that bring proven results in every subject. Plus, when students focus on the most essential skills, they also develop mastery, which leads to years of successful learning outcomes in school and even into the workplace. 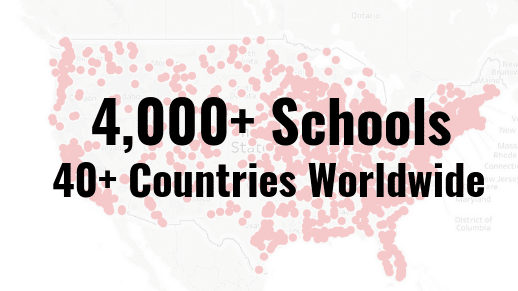 What Does the SOAR® Curriculum Cost? 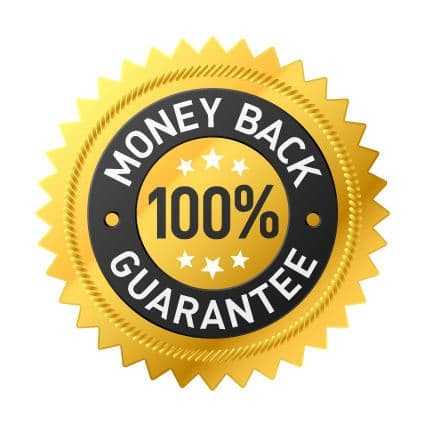 We are so confident in the power of our program, that we offer a 100% money-back guarantee! Our #1 goal is to make the lives of teachers, parents, and students easier! Can Your School Benefit from Study Skills?